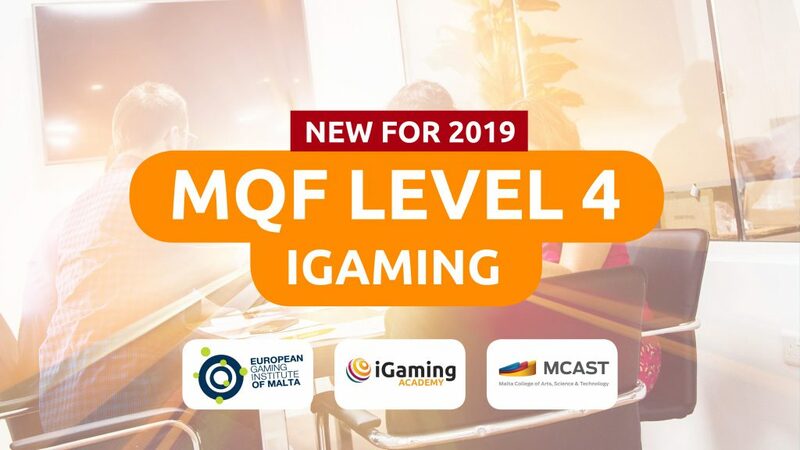 Fully accredited and certified at MQF Level 4 in iGaming is the first module in a brand-new training partnership between iGaming Academy, MCAST and the European Gaming Institute of Malta (EGIM). Additional iGaming modules are due for launch in 2019. Each one can be taken individually or credits can count towards a full MQF Level 4 qualification. Each module will be delivered in short classroom based sessions over the course of a month, ideal for those fitting studies around existing work, as well as those already in education. EGIM (European Gaming Institute of Malta) is a government joint venture between the MGA (Malta Gaming Authority) and MCAST (The Malta College of Arts, Science and Technology), with the objective of developing educational programmes for the gaming industry. This new partnership between IGA Training and EGIM combines the industry expertise and quality training of iGaming Academy with official government and educational accreditation.